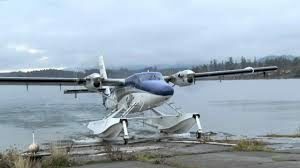 Lamar Aero, Inc. has established extensive long-term relationships with many Twin Otter operators and manufactures throughout the world, providing the necessary components for end users in the most remote regions. With our expertise and knowledge of this aircraft, we have worked diligently throughout the years to purchase and stock one of the most diversified inventories available for the Twin Otter DHC-6 Series 100, 200, 300, 400. This not only gives us buying power to purchase inventory at a lower cost, but also give us the ability to provide our welcomed customers with the most competitive pricing available. We help keep your operating cost down! Once you start purchasing from Lamar Aero, you will begin to understand what makes us different from the rest. As some other companies do, we don’t promise what we can’t deliver. If we don’t have something ready, we will use all our resources to get it to you when you need it. When your plane is AOG, you need a company you can trust to deliver what you need. Time is money and we know how valuable time is when you are on the ground or have scheduled routine maintenance to complete. Every Twin Otter DHC-6 part that is received at Lamar Aero’s distribution center goes through our detailed quality inspection procedure. Through this procedure we identify any possible inconsistencies, between what we ordered and what is received. Each part received is closely inspected the day it is received and must be cleared before it is packaged and marked ready to ship. Same day inspecting eliminates delays in getting the parts our customers urgently need, out the door. 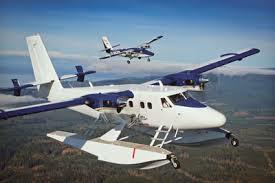 Lamar Aero provides complete parts support for the Twin Otter aircraft. Contact us to discuss our wide range of Avionics, Rotables, Landing Gear, Engines and parts, MRO, Airframe parts and more.